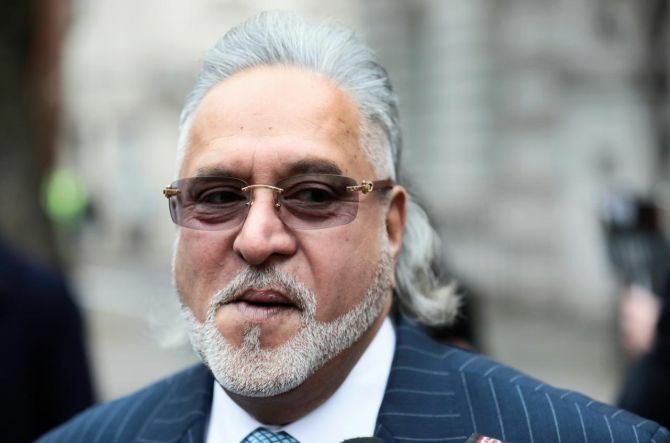 Five years after billionaire liquor-baron Vijay Mallya’s luxury jet was impounded by the government, it is yet to find a home. A Florida-based company that won the auction for the jet is now running from pillar-to-post, unable to take possession of the aircraft despite winning it in a court-monitored auction process. Meanwhile, the A319 aircraft, bearing the registration VT-VJM - after the fugitive tycoon’s initials, stands at one corner of the Mumbai airport occupying precious parking space. The company, Aviation Management Sales, is mulling moving the Bombay high court as it now faces the prospect of paying penalty because of its inability to remove the aircraft as Indian aviation regulator has not yet deregistered it. Deregistration of the aircraft by the regulator is mandatory under global norms for the company to take possession of the aircraft. The plane was attached by the service tax department in December 2013. It was forced to auction the aircraft after the Mumbai airport moved the Bombay high court seeking removal of the jet from its premises as it was resulting in non-productive use of its space. After four failed attempts, Aviation Management Sales won the bid for Rs 34 crore. Documents reviewed by Business Standard show that the possession was delayed as the Central Bureau of Investigation (CBI) took time returning files related to the aircraft, which it had seized during the investigation. After the CBI returned the file, the process was stalled as the Directorate General of Civil Aviation (DGCA) which has asked for a no-objection certificate from the original lessor. Aviation Management has termed it “illegal”, saying the DGCA’s own regulations, which govern deregistration of aircraft, say that a no-objection certificate is not required. The company didn’t reply to queries sent by Business Standard. “The request to provide a no-objection certificate from the lessor is illegal on the ground that Aviation Management Sales has no concern with the previous owner of the aircraft since the company has become the owner of the aircraft through a public auction monitored by the court,” says an expert in airline leasing laws. When contacted, DGCA head B S Bhullar said that the regulator was just following the laws. “This aircraft has been under multiple litigations, there are a lot of parties whose approvals are required which will take time. We are just following the laws,” he said, refusing to elaborate further. The delay has resulted in a condition where the US-based company may now be penalised for being unable to remove the aircraft. “Under the bidding conditions, the aircraft had to be removed from the airport premises within 60 days. "The delay will lead to the company to unable to abide by it,” says a source close to the company. Experts have termed the situation as a shining example of the impasse caused by the notorious bureaucratic red tape, saying it raises question over the ease of doing business for aircraft lessor in a country which has one of the largest aircraft order book in the world. “In India, leasing and repossession of aircrafts involves a formidable thicket of bureaucratic red tape. In the absence of clear bankruptcy laws, the matter usually is referred to the courts. "This is a tedious process and in the meantime, the aircraft sits and gathers rust and interest. "When the judgment is delivered, it usually is not satisfactory compensation for all litigants,” said Hitesh Patel, CEO of Veling Ltd, an aircraft leasing firm based in Mauritius. R K Jain - CEO of Mumbai International Airport (MIAL) which operates the Mumbai Airport - said that it is necessary that the aircraft is removed as soon as possible. “We are not getting any charges from the aircraft, and it is occupying precious parking space in an airport where availability of space is minimal. It should be removed soon,” Jain said. Oh, to be in Mallya's shoes!